Choose Solmar for your holiday car rental! N.B. Sadly, Solmar have now CEASED OPERATIONS and CLOSED all of their offices. Alternatives below. Drivalia car hire: Drivalia have off airport offices at Alicante Airport, Girona Airport, Santiago de Compostella Airport and Valencia Airport. In fact, they have taken over Solmar's offices at Girona and Satiago de Compostella Airports. Like Solmar used to, they offer a full cover rate which includes full-full fuel and a free extra driver. Centauro car hire: Centauro are a good option at Barcelona Airport and Murcia San Javier Airport (as well as Alicante and Valencia Airports). Centauro's offices at Barcelona and Murcia Airport are located off airport via courtesy shuttlebus and they offer a number of different rates, including full-full fuel and a full cover, zero excess rate ('Smart Cover'). Goldcar car hire: Another option at both Barcelona and Murcia San Javier Airport, this time in the Arrivals Hall. Again, offering a choice of different rates. Solmar Selec's head office is in Javea in the Costa Blanca, and their main activity is focused in this region of Spain, though they also have an offices at Barcelona Airport, Girona Airport and, in the north-west of Spain, Santiago de Compostella Airport. In the Costa Blanca, Solmar's airport offices are at Alicante Airport, Murcia Airport and Valencia Airport, all of which are 'off-airport' offices, which means you'll be picked up from the Terminal building by their courtesy minibus for the short transfer to their office. This is hassle-free and often quicker than picking up from an Arrivals Hall office (where queues during peak season can be long and slow). 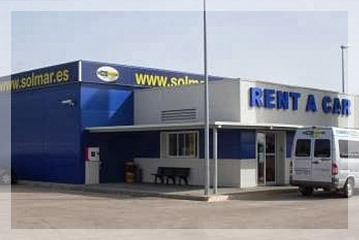 Solmar also maintain a number of local offices: Javea, Denia and Moraira. If you need a one-way car hire, Solmar do allow this. The extra charge applicable varies according to the distance between the two offices involved, from 40 euros to 200 euros. 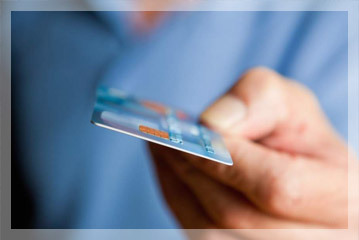 Paying for your Solmar car hire on collection has several clear advantages over paying before you travel. Firstly, cancellation is totally hassle-free and you don't need to worry about if and when you'll get a refund. And with easy cancellation comes the possibility of taking advantage of lower rates if they appear on our website: prices are constantly on the move these days so keep an eye on our quote and feel free to re-book if you find a better deal.